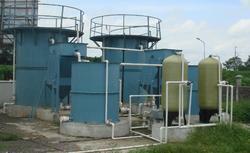 Leveraging on wide expertise, we are instrumental in developing high performing equipments for Sewage Treatment. The offered system is trusted widely for its innovative concept and industry approved components. These sewage treatment plants can be developed with prefabricated structures and with help of technological advancements, we can expand it to multi gallon capacity. Fully equipped with latest technology of aerated treatment and sludge based treatment the offered plant can be availed from us at a leading price.